- Keeping requirements documentation up to date. - Upper-Intermidiate spoken and written English. - Effective programs for professional development of each employee (trainings, seminars, and conferences). FintechLab is an excellent place to work at and develop for the many – which includes you! We are aimed for a long-term partnership, based on trust and work-life balance. We always take care about personal development of our staff, providing participation in various forums, conferences, training courses and other events. Our leaders help not only to gain results in a concrete professional sphere, but also to grow as a personality. We feel responsible not only for you, but also for wellbeing of your close persons – we constantly offer health and lifestyle oriented bonuses. We strive to find a suitable balance between the thrilling job and your private life. 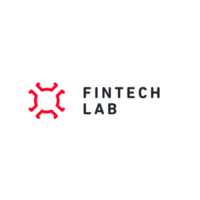 Discover exciting career opportunities and gain experience from a multicultural family of FintechLab – we provide opportunities to try yourself in various departments, within the company, in different countries. JOIN OUR TEAM AND PLAY YOUR ROLE IN BUILDING THE FUTURE OF FINANCE!